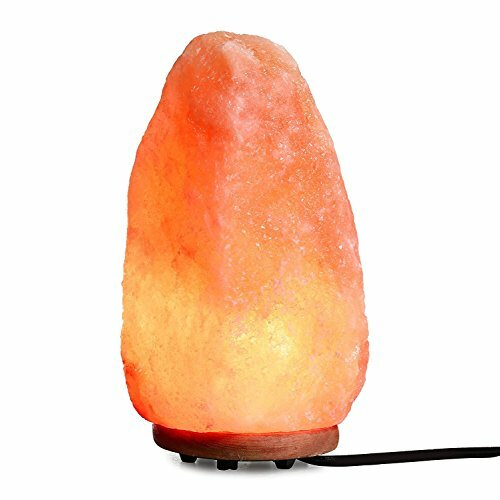 SMAGREHO Himalayan Salt Light Natural Hand Carved Crystal Rock Stone Lamp with UL Dimmer Switch (7-8inch,5-8lbs) by SMAGREHO at EOS Lighting LLC. MPN: SO-H00268B1. Hurry! Limited time offer. Offer valid only while supplies last. Made and hand carved in Pakistan, authentic natural Himalayan stone lamp. UL certified dimmer switch and power cord, double safety guarantee. Brightness can be adjusted and match the ambiance. Soothing and relaxing amber warm glow illuminate your bedrooms, living rooms, coffeehouse, perfect gift choice. Satisfaction Guarantee - Any question, just contact us and we offer 24 x 7 email support, 12-month hassle-free warranty.